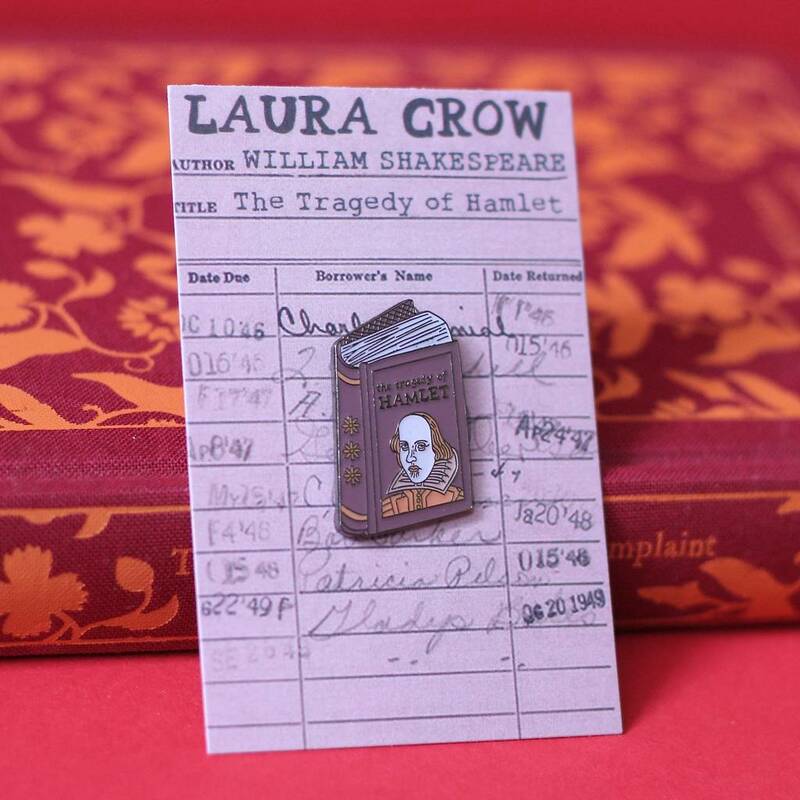 This enamel pin badge features the iconic author William Shakespeare, shown on the cover of his famous play Hamlet. 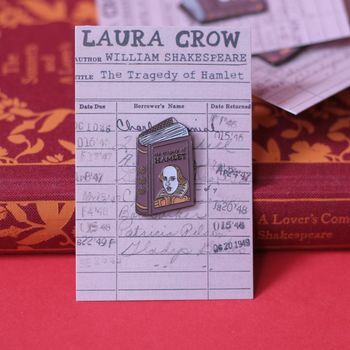 This book badge would be a perfect Valentine's gift or an ideal addition to any book worm's bag or jacket lapel, especially those that love the theatre, performance and the world of the Bard. This badge is part of a set of classical author enamel pins. Browse my shop for the other Anne Brontë, Charlotte Brontë, Emily Brontë, Mary Shelley, Charles Dickens and Jane Austen pins! This is a 30mm soft enamel pin badge featuring raised and recessed black metal with a butterfly grip fastening on the back. It will arrive beautifully packaged on a matching library card backer. The pin badge measures approixmately 30mm x 30mm.